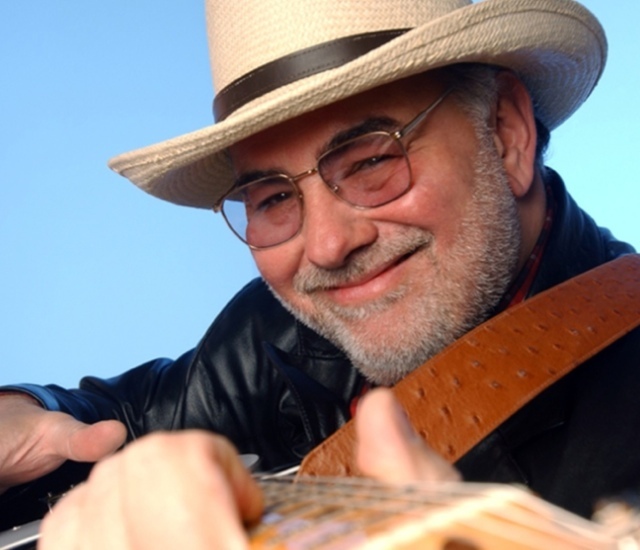 Hello, Duke Robillard here. Welcome to Sonic Junction. I'm looking forward to having some serious fun here with you, and I'd like to give you an idea of how I teach. As a self-taught musician, I have developed, over the years, a layman's approach to teaching blues and swing: easy to learn, understand, and execute. I teach beloved blues classics -- breaking down each song into multi-lesson series with detailed instruction on various aspects such as chord progressions, inversions, skills for building interesting solos, and variations on approaches to soloing. As I have spent my life studying the masters of blues, I can show you how to get the sound of some favorite blues heroes, as well as licks from my personal arsenal. I structure my lessons at Sonic Junction the same way I teach one-on-one, where students learn and ask questions. Learning at Sonic Junction provides you the give-and-take of my private lessons and masterclasses -- I personally answer each posted question and personally view and comment on every student video. I give a new lesson at Sonic Junction every Friday. Each lesson will have my video, song/lesson overview, tab, and looping tracks. To access your lessons anywhere, use our iPhone/iPad app. You can get my personal feedback at any time by posting questions or uploading videos of your playing. I encourage you to post your work! -- it's fun and a great learning tool. 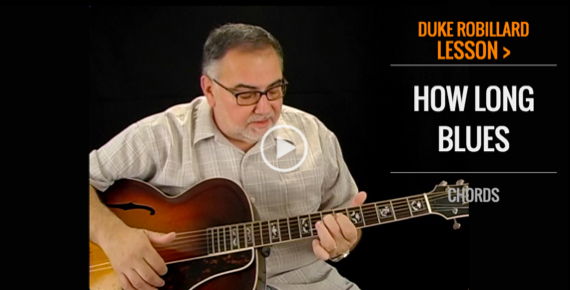 To get you started, please check out my free sample lesson: How Long Blues. This series features the classic 8 bar blues, "How Long." My first lesson is learning the basic song with simplest changes for guitar in A. Basically in a simple finger picking style. We concentrate on the quarter note bass string root thump while stating the melody on the top strings. Then we work on a second verse going up to second position on the top 4 string using 7ths and my favorite 9th inversion. Then in the second lesson we go to a more Kansas City version with swing 4 to the bar a la Freddie Green. in this lesson we add more chords to make the changes more interesting to play over while still keeping within what works with the traditional melody. In our next we will delve into soloing on the form and trying different approaches to soloing over the changes.